Brentwood Days is an annual city festival held on the third weekend in September. This event brings the community together to enjoy live music and entertainment, delicious food, free carnival rides and games, a parade, and a great fireworks show. No matter your age or interests, there is something for everyone at Brentwood Days! 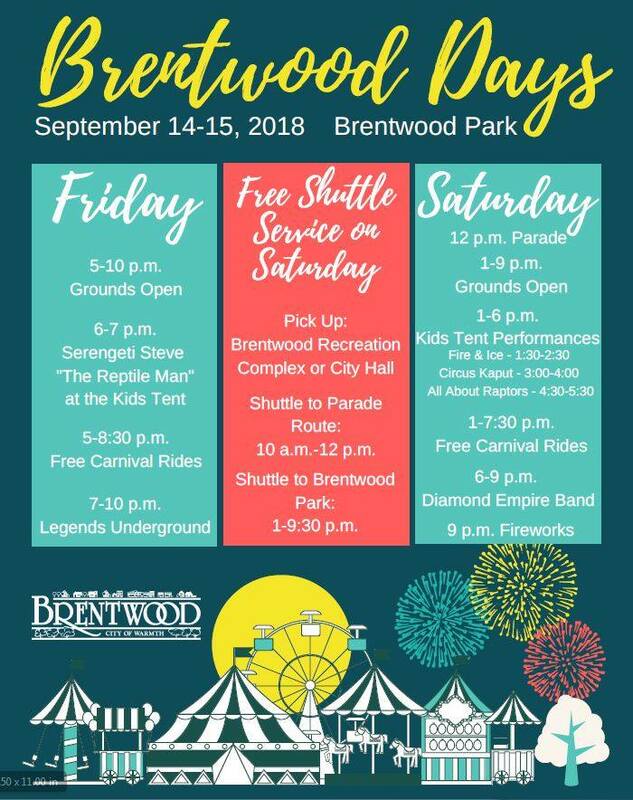 The Brentwood Days parade, on Saturday from 12-1 p.m., allows local groups, organizations and businesses the opportunity to interact with the Brentwood community! Each year, every parade group is judged on interpretation of the parade theme, and the top three groups/floats are awarded.